Business Development is responsible for identifying opportunities for the broad business community to conduct business with UNT and UNT System. One such opportunity is to serve as the university’s liaison with historically underutilized businesses (HUBs). Business Development also works with contract originators by reviewing existing contractual agreements as they approach expiration to ensure that appropriate analysis and consultative review takes place to ensure renewal, extension or termination decisions focus on achieving the best value for our institutions. 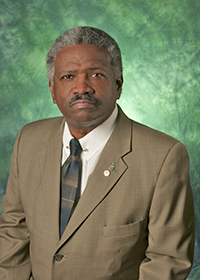 The Institutional Records Management Program serves the University of North Texas, UNT System Administration and UNT Dallas. This program assists its records management partners in developing effective records and information management strategies that achieve both compliance and cost savings for each institution. This program provides guidance and tools for all records management processes, required by all units, in each institution.